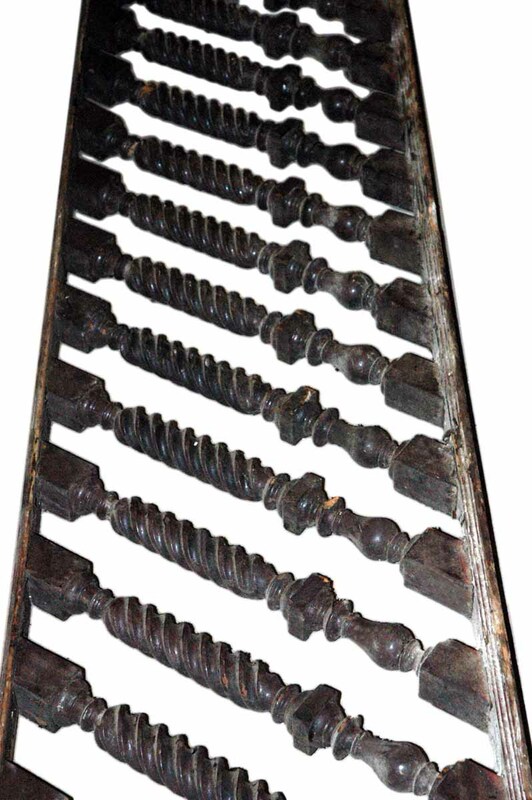 This beautiful stair railing is from the late 1800s. 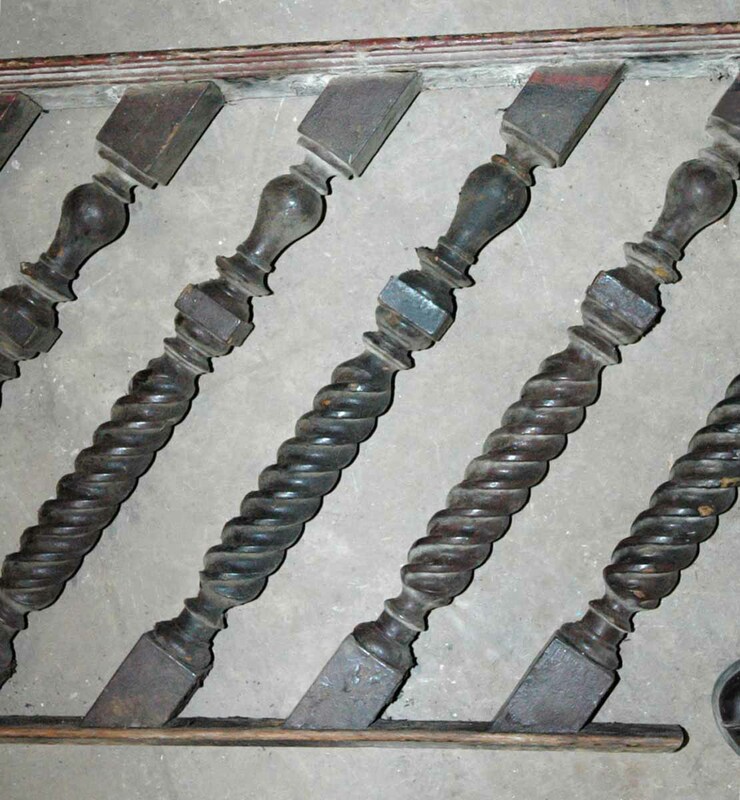 It is all carved serpentine twist, which is hard to find anymore! 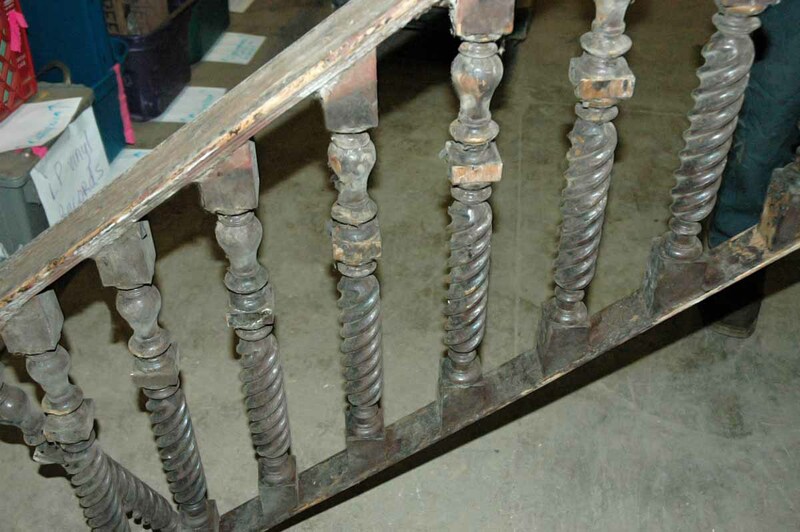 There is no bannister with this railing, although we have several available that would work with this. Please inquire for possibilities. This item is priced as one lot. 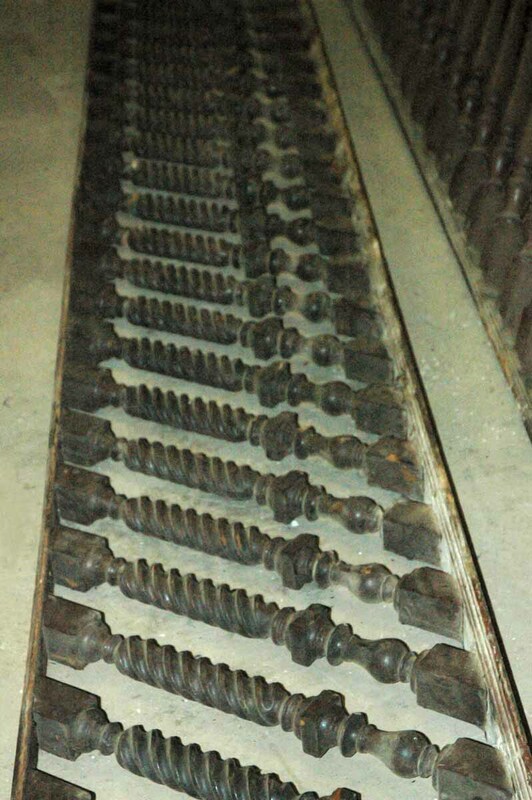 Overall 23 in., height of spindles 22 in., rise over run 8.25 in.